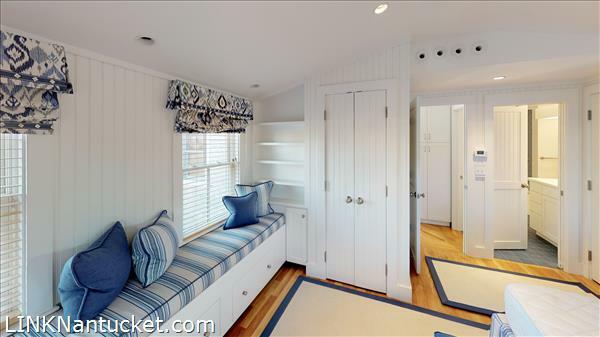 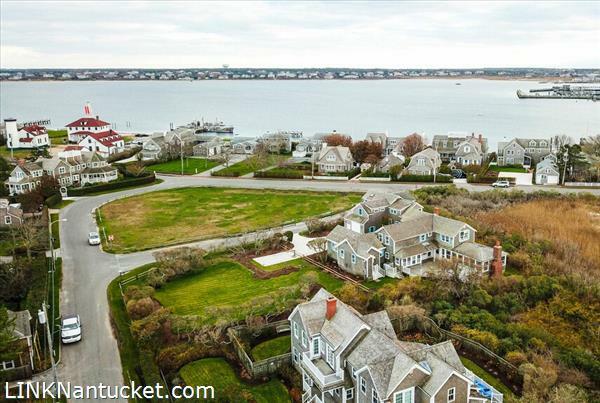 Classic Nantucket Legacy Property: This gracious single-family property features a 5-bedroom, 6.5-bath Main House with views over conservation lands and plenty of living space, as well as a 2-bedroom, 3.5-bath Guest Cottage; both with water views. 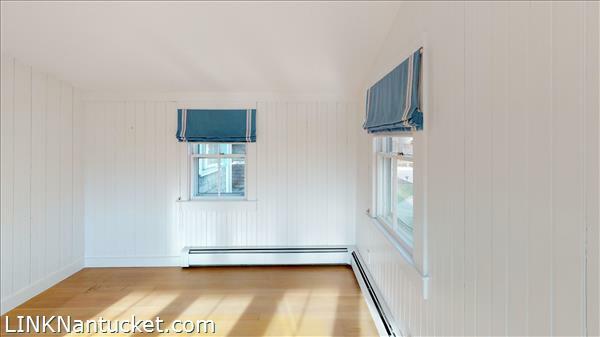 The cottage, built in 2014, is being offered furnished. 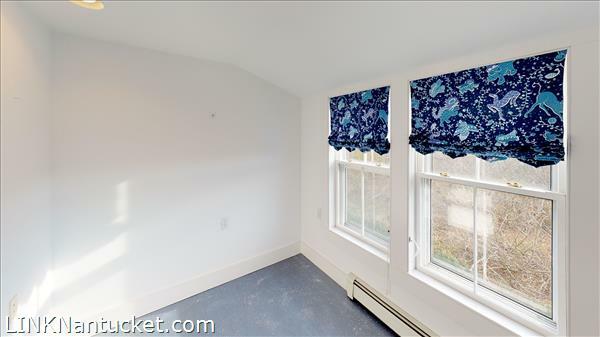 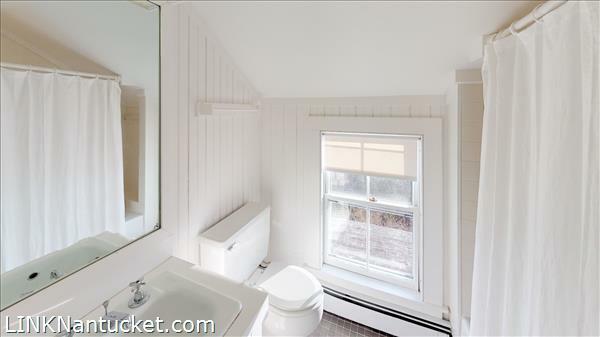 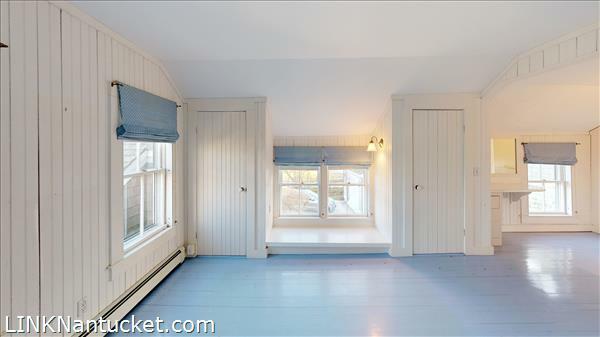 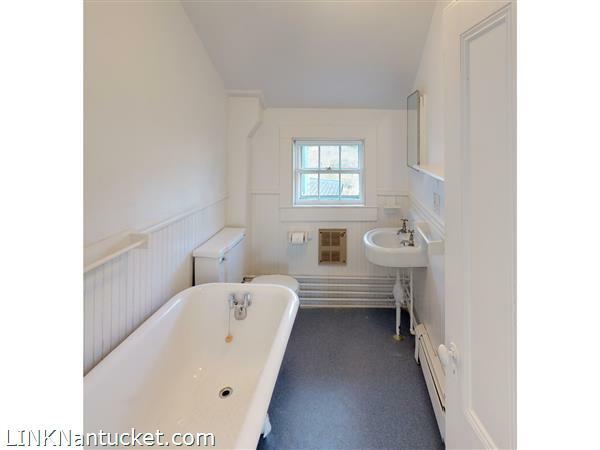 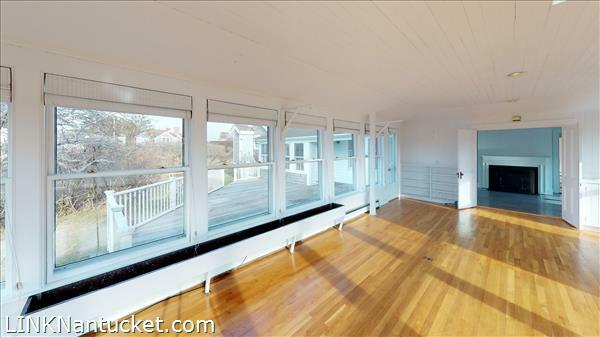 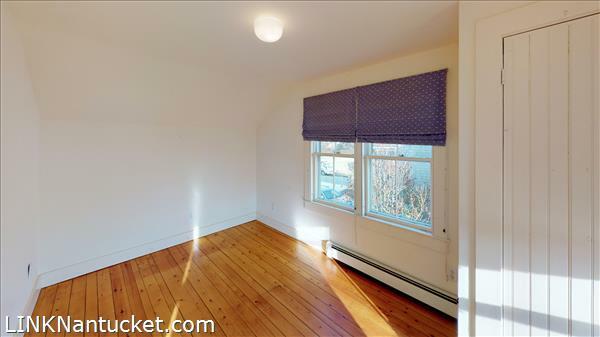 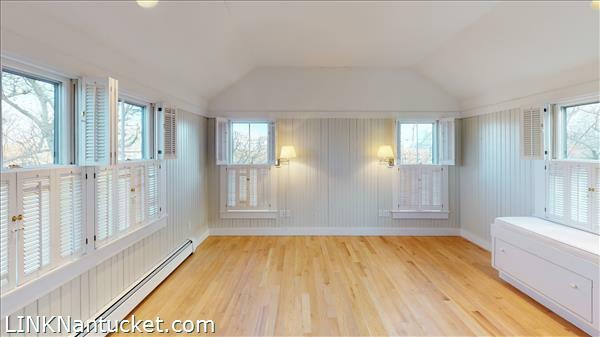 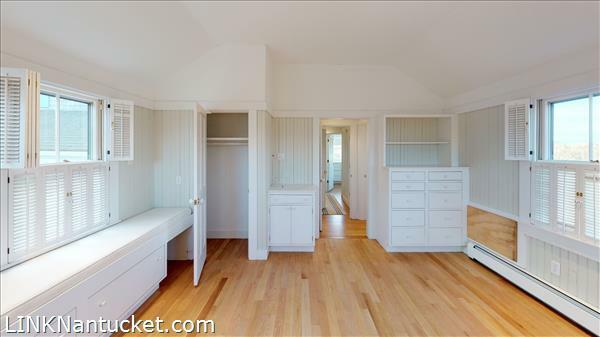 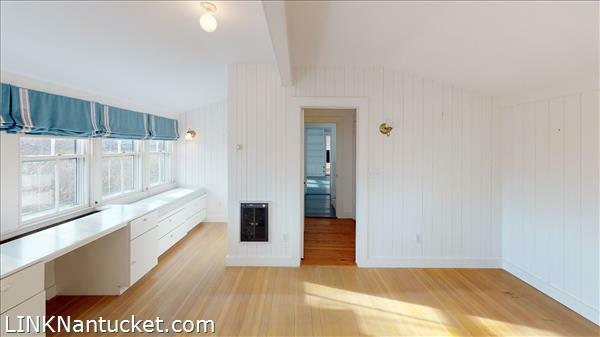 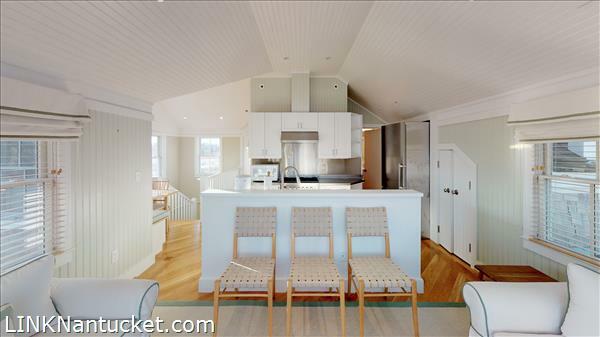 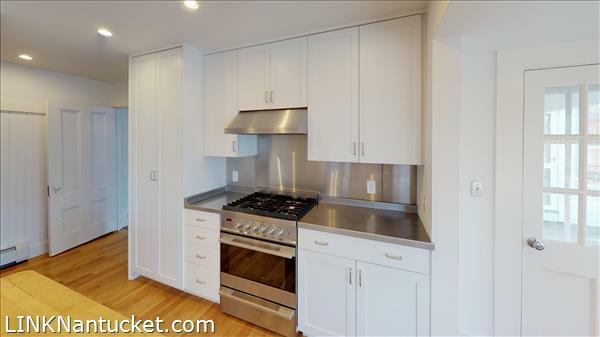 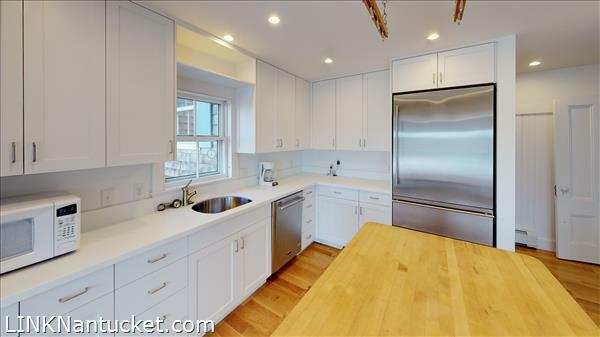 Set in the heart of Brant Point, with all of downtown and area beaches just moments away, this is a dream location! 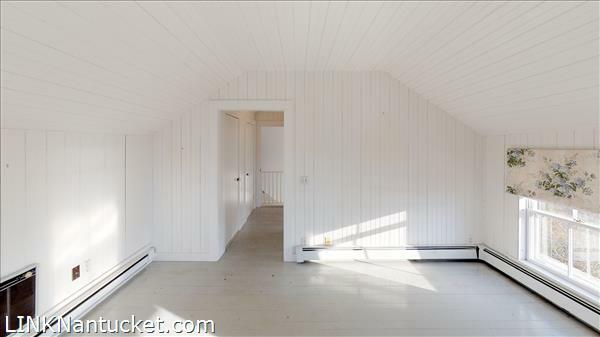 First Floor Light and bright kitchen, open dining space, access out to large back deck overlooking conservation lands. 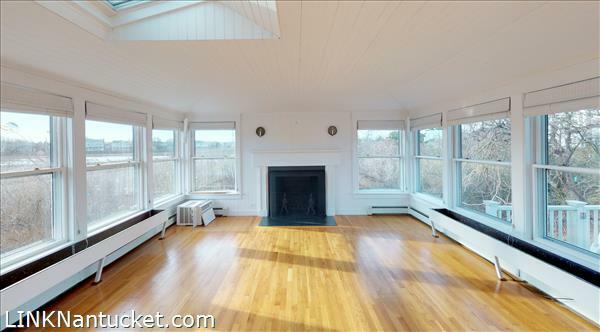 A spacious living room with a ton of natural light and salt marsh views. 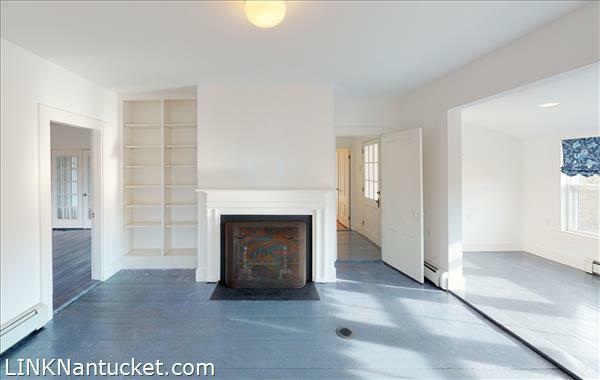 The central common areas provide a great gathering spot or conversely a comfortable place to curl up with a book. 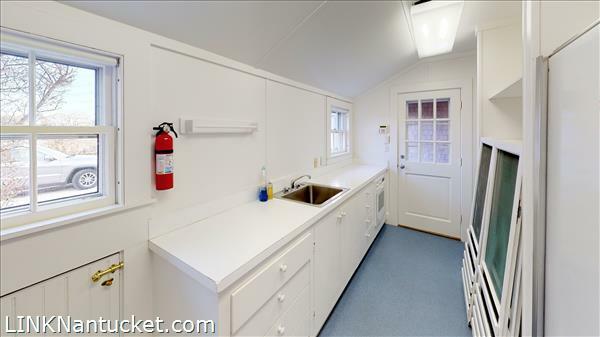 Two ensuite bedrooms as well as an office and another full bathroom complete this level. 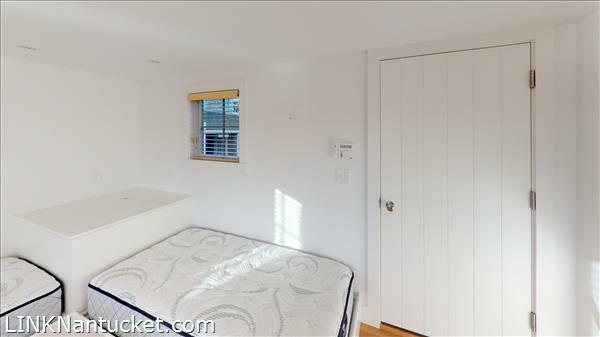 Second Floor Master ensuite bedroom with lots of light, storage and built-in window seating. 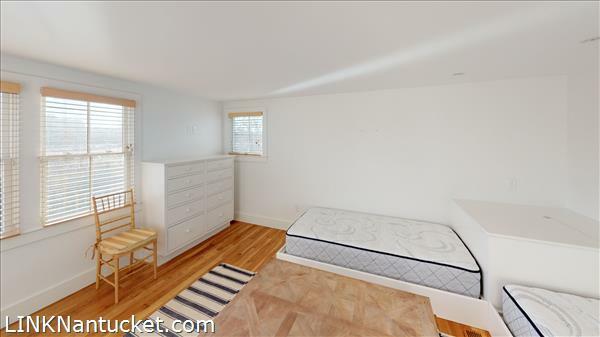 Additional ensuite guest bedroom and another bedroom which uses a full hall bathroom. 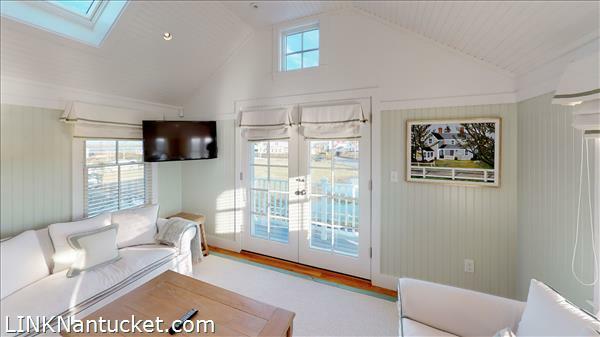 Perfection by the sea! 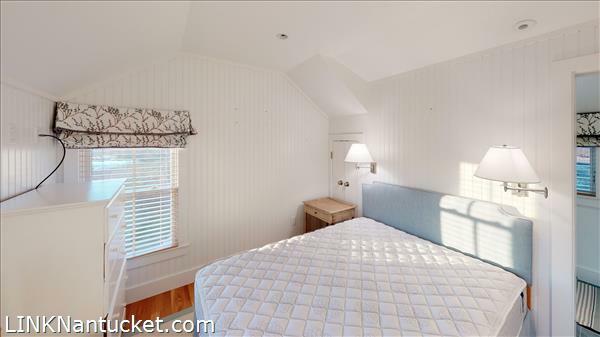 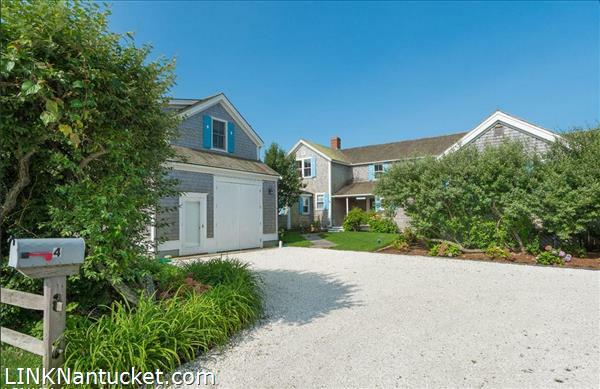 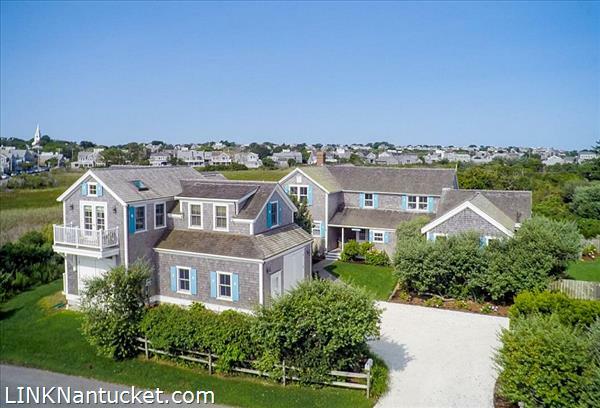 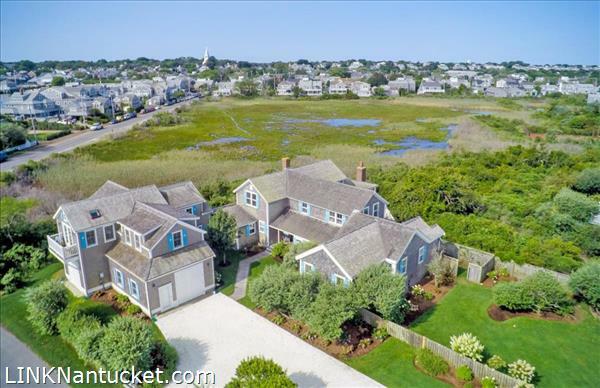 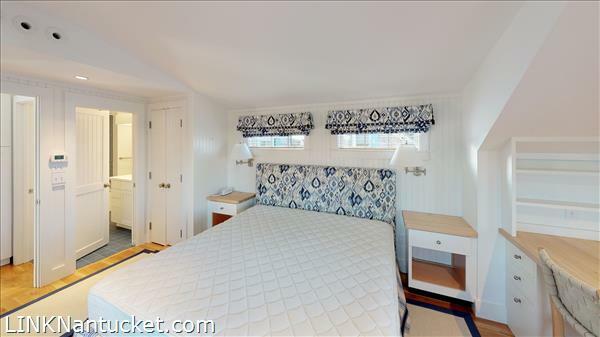 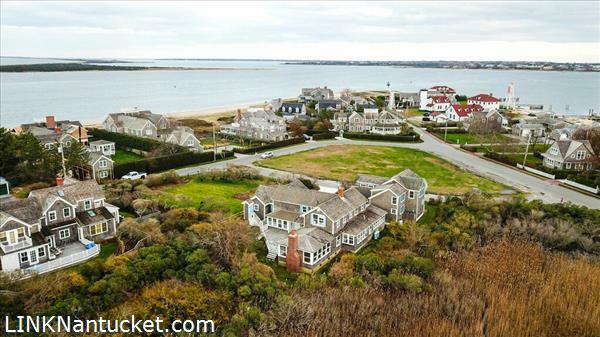 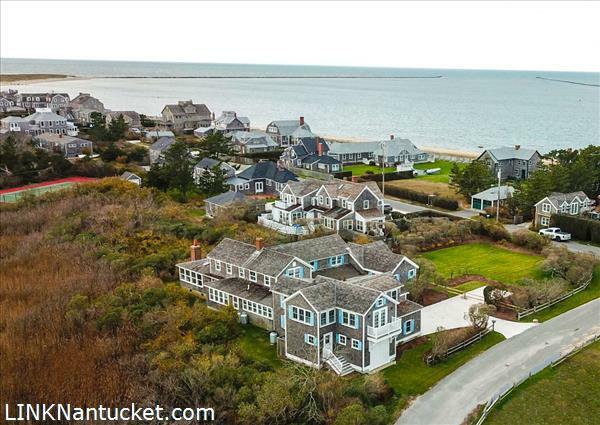 Only a few steps away from the sandy shoreline, this elegant beach house offers a coveted ..
Aptly named “Harbor Watch,” this stately home offers wonderful views across Children’s Beach out to Nantucket Harbor. 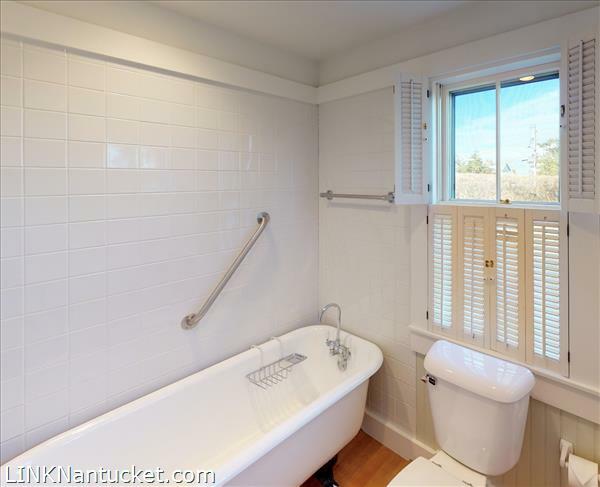 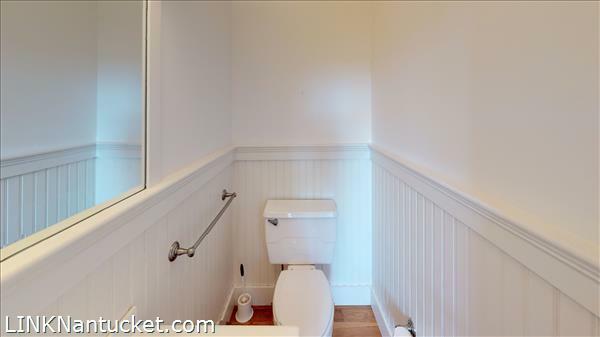 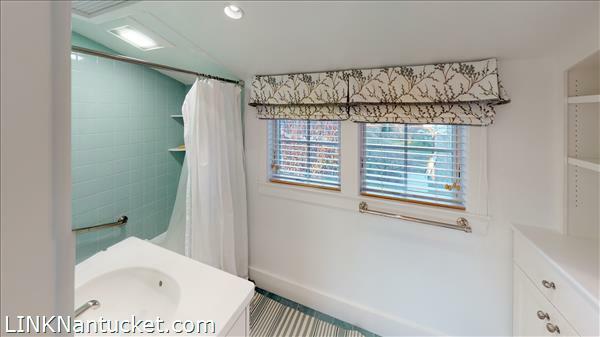 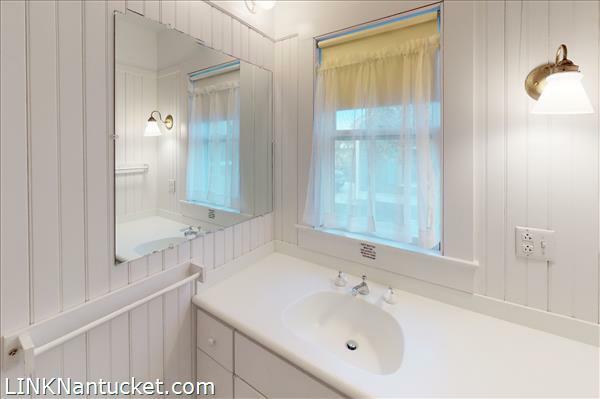 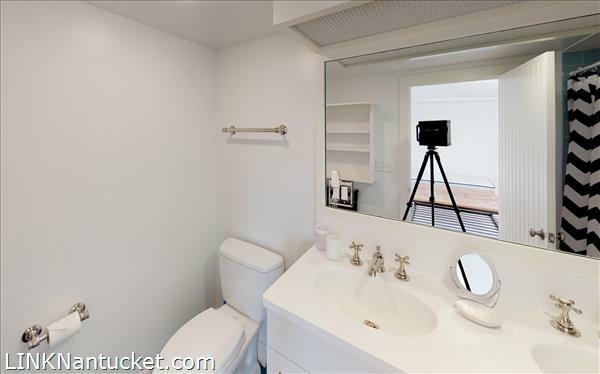 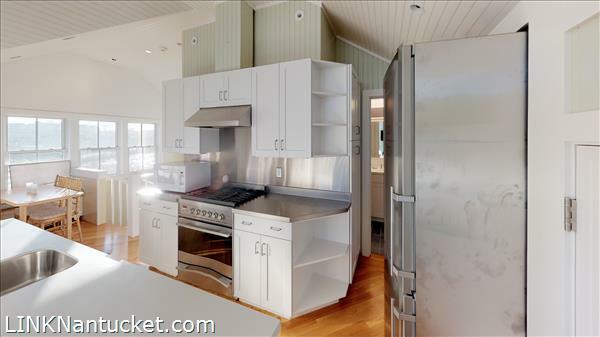 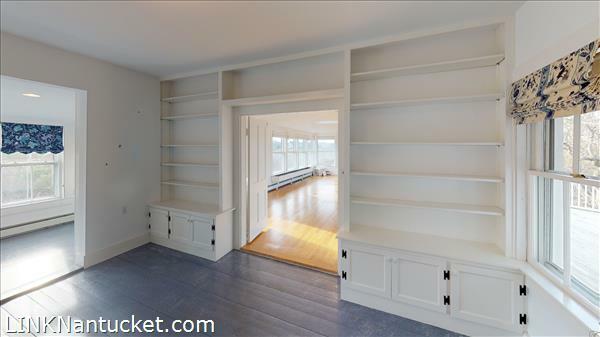 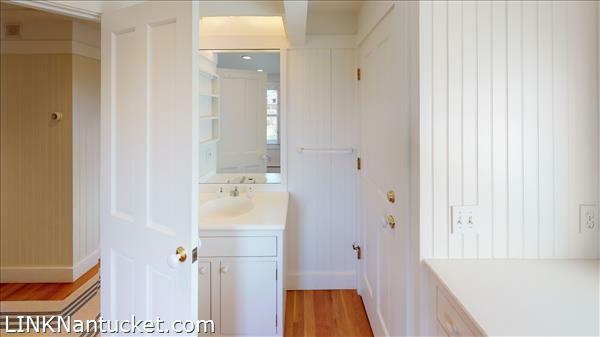 Whether it be ..
Beautiful new custom built home in a desirable location of Brant Point. 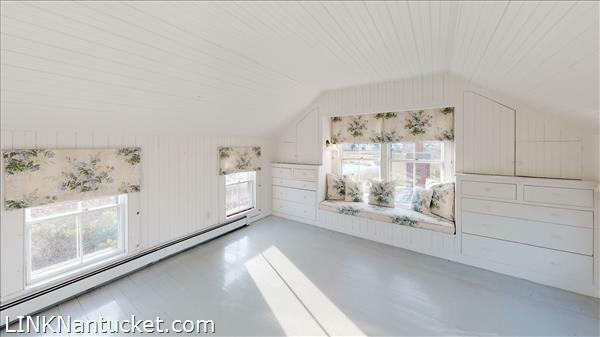 With meticulous attention to detail and a well-designed ..
Rich in history dating back to the 1800’s, the Stone Barn remains one of the most iconic beacons of the ..